Hey guys! I have an amazing giveaway today (especially with Mother's Day soon approaching!) Coupons.com is giving away 4 amazing prizes! 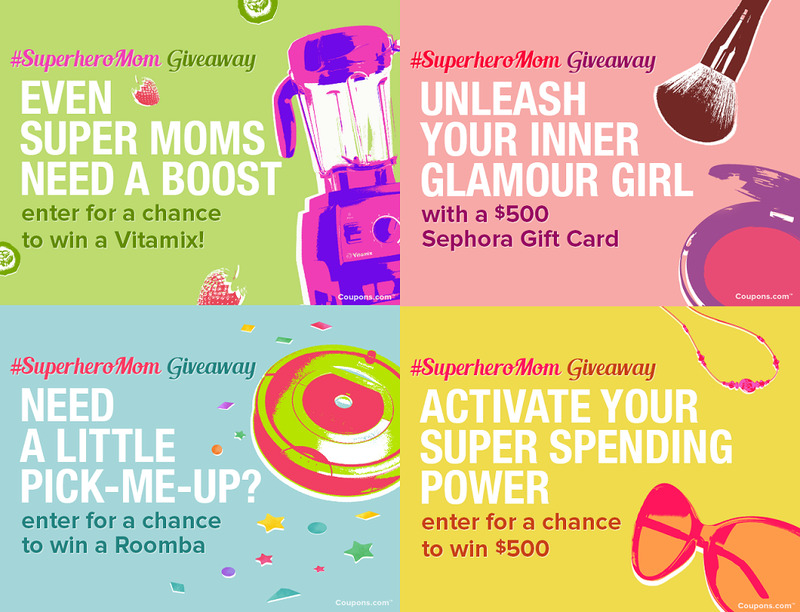 You can win a Vitamix, a $500 Sephora Gift Card, a Roomba or $500 Cash! All these items would be amazing this Mother's Day for either yourself or for the Mother in your life! I can think of quite a few ways I could use each of these prizes. If you haven't heard of Coupons.com, you definitely need to check them out. They have some great coupons for just about everything on your grocery or shopping list. Make sure you print some out before your next trip to save some extra cash. Also, now Mother's Day is approaching and I know not everyone has a gift for the Mom's in their life yet. Make it easier for you to check out their Mother's Day Deals for not only great ideas on gifts, but also some great prices too. In addition to these 4 amazing prizes, you can win a $200 Gift Card to Williams-Sonoma! Enter down below today! I have always loved Williams-Sonoma and it's one of the first places I think of when I think of the best place for cooking and home needs! So many cooking products can simplify my life, especially after becoming a mom! Between my blender and my crockpot I can pretty much have dinner and dessert ready in no time, and I barely have to do any of the work! I've teamed up with 20 bloggers to host this giveaway and make sure to enter all these amazing giveaways! !